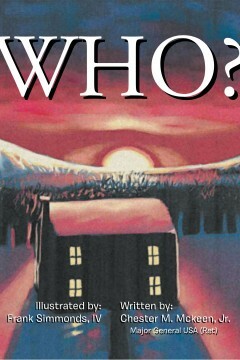 By Chester M. McKeen, Jr.
Who is a mystery book written for both the young, and young at heart. This book was created to give classroom and home school educators an enjoyable and thought provoking way to discover WHO comes to visit the home every evening. This book is an excellent way for parents, grandparents, babysitters, and those who love children, an interesting way to spend time with a child.